Court Theatre is one of the few first-class theaters on the South Side. Situated on the campus of the University of Chicago, this comfortable, 251-seat subscription Equity theater has been home to great theatre. 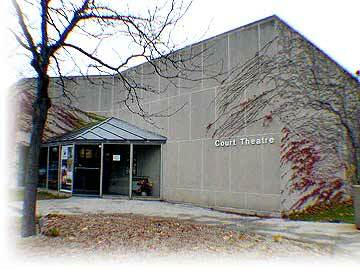 Court opened its first five-play subscription season in the new, 251-seat Abelson Auditorium in 1981. Today, Court enjoys the support of 4,300 subscribers, plays to an annual attendance of more than 45,000 and reaches 4,500 students both in their own classrooms and at substantially discounted student matinee performances. From the outside the theater resembles a concrete bunker, but inside you'll find excellent sight lines, seats, and acoustics.